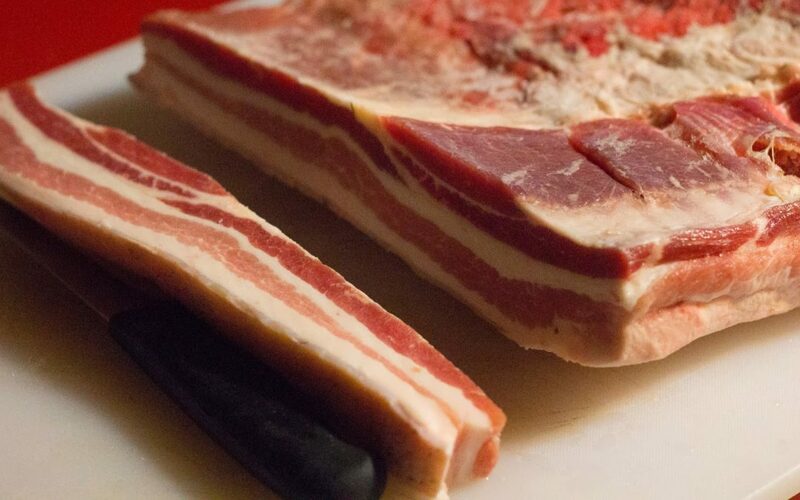 Despite record low U.S. pork belly inventories, analysts say a bacon shortage is not likely. In early February, the Ohio Pork Council fueled alarms by publicizing that pork belly stocks were at their lowest levels in half a century. While the group added there was not an actual bacon shortage, several media outlets published reports suggesting otherwise. Market analysts tell Reuters more supply will soon be available. Industry analysts attributed low belly stocks to prolonged demand for bacon, as well as a decline in physical storage by speculators after the demise of Chicago Mercantile Exchange belly trading pit. The Department of Agriculture data for January on pork bellies, from which bacon is made, put total stocks at 14 million pounds. It was a record-low for the month and down four million pounds from the December record. Analysts say there’s no worry for a shortage, though, because hog slaughter totals are expected to rise four percent through the spring, and commercial pork production for 2017 is expected to increase by five percent, compared to last year.